With up to 512TB and up to 780K IOPS. InfiniFlash system delivers density, performance and scalability. Enables flash in the server as a cache to reduce storage latency. A streamlined, innovative software stack that eliminates bottlenecks. 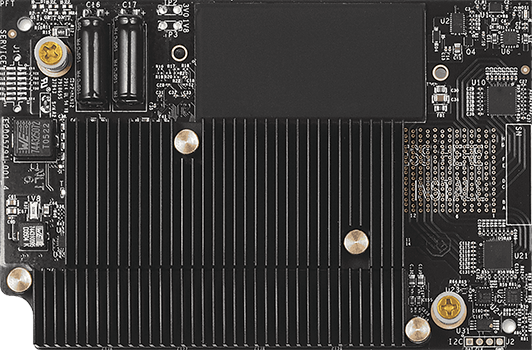 A New Kind Of Fusion - The Fusion ioMemory portfolio is the leader in PCIe application accelerators. Up to 6.4TB for read-intensive workloads like web hosting, data mining, 3D Animation of CAD/CAM. Up to 5.2TB, the PX600 series is designed for virtualization, databases, business intelligence and real-time financial data processing. Fusion isMemory solutions for vertical industries and other workloads. SAS SSD - Optimized for read-intensive, write-intensive and mixed-use workloads. A custom controller makes Lightning a competitive solutions for demanding environments. 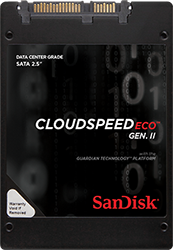 Unprecedented density and incredible capacities up to 4TB for data center SSDs. A 6Gb/s SAS interface and an innovative parallel architecture for peak and sustained performance. 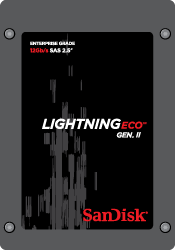 SATA SSD - Optimized for clients, embedded solutions and the cloud. Purpose-built for the cloud for superior performance and economics. 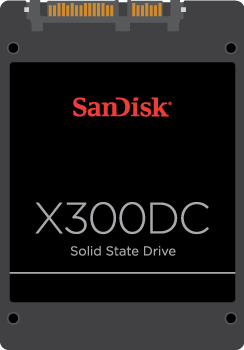 The X300DC is engineered specifically for data center applications. SolidStateWorks.com is a division of Virtual Graffiti Inc, an authorized SanDisk Partner.